Professional Secrets for Mastering Foreign Languages. This is a distillation of the techniques and strategies used by the author and other professional linguists from the Defense Language Institute, State Department, CIA, NSA and other government agencies. Quickly, Easily, Inexpensively, Enjoyably and on Your Own. The techniques the author presents here will have readers speaking, reading, and writing and enjoying any foreign language in a surprisingly short time. Learning to speak a foreign language is easy with Learn Any Language! By using host Barry Farber's system you will soon learn a new language quickly, easily, inexpensively, enjoyably, and on your own. Designed for people who have no interest in learning complicated rules of grammar. 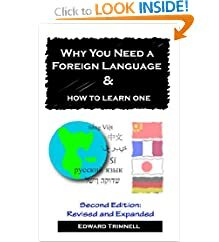 The author promises that his method will help anyone become functional in any language in seven days and proficient in 30. The book describes techniques and resources that businesspersons and other professionals can use to acquire a language through independent study. Tips for Foreign Language Students, Online Resources for Language Learners. 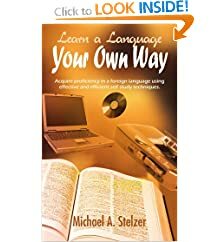 This book is a guide to help you learn your new language.